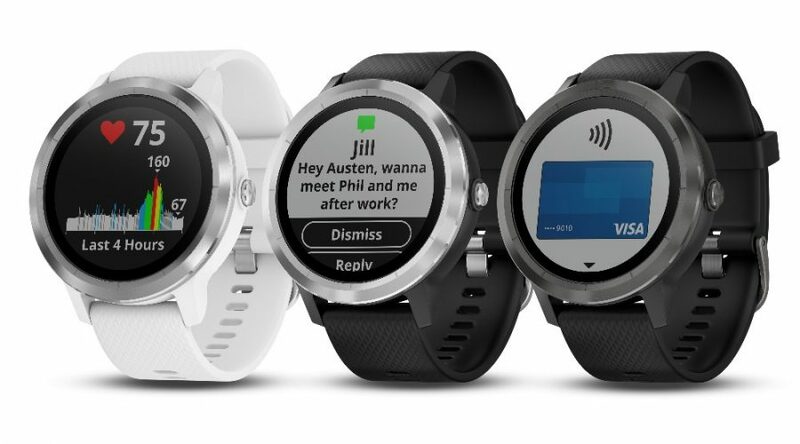 You’ll find below a list of short video tutorials on the functions and features of the Garmin Vivoactive 3. This is a low cost GPS general activity watch which includes a wrist heart rate sensor. A nice upgrade for those who had the forerunner 35. This is a small basic device packed with enough features, including Garmin Pay. What to do when your vivoactive 3 freezes up or unresponsive or when you want to wipe it clean. Here we have a method for each. Note as of Jan 2018 hard reset key sequence was not known. Note that your data could he affected when doing either method. Simply press and hole the key for at least 15 seconds until the device shuts down or restarts. When you first use the Garmin Vivoactive 3 for the first time, you have the option to set activity favourites or a quick list of preferred activity profile. Simple select your favorites from the list of activities, this screen only shows up on the firs time. Once done, you can press the Key and you will see your favorites at the top. To access the other activities simply tap on the four dots icon. You can further manage your favorites by going to SETTINGS | ACTIVITIES & APPS and by choosing an activity and then ADD to FAVORTIES. Activities like golf, yoga and other can be found by creating a new activity. You can also remove favorites by going into the activity and selecting REMOVE FAVORITE. You can change data fields in the running profile on your Garmin Vivoactive 3. You can customize, re-order, add and remove the icons based on your preference. From here you can tap another location to move it, you can tap on the garbage can icon in themiddle to delete it. When deleting an icon, it will be replaced by a + symbol. Tap the + and scroll through the list of app you have access it. Swipe right to exit this menu and apply the changes. In this video we will go over the activity tracking settings on the garmin vivoactive 3. You can view your daily activity by swiping up or down via the widgets and by default the move bar is turned on. SWIPE RIGHT to go back. In this video we will look at how to customize the widgets on your garmin vivoactive 3. Widgets are the data screens or functions when you swipe up or down. There are a number of defaults widgets available and this video will show you how to customize, or re-order the loop of the widgets or screens. 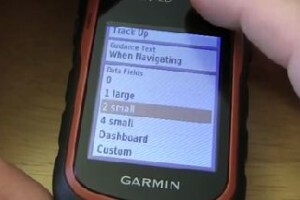 I won’t go over how to download widgets from Connect IQ but you can refer to related videos on other Garmin devices, as the process is the same. 3. Scroll through the list and tap a widget to view its settings. This is where you will be able to enable or disable the widget and adjust some of the settings. You can also rearrange or re-order the position of the widget. 4. SWIPE RIGHT to go back to the widget list. 5. SCROLL all the way to the bottom of the list and SELECT ADD WIDGET. From here you can add a widget or downloaded widgets from the garmin connect. In this video, we will look at how to start outdoor GPS tracked activities with your Garmin vivoactive 3 like running, walking, golf, bike and rowing. There are more outdoor activities, but the process is the same. Note that outdoor activity profiles will turn on the GPS, while indoor activities won’t turn on the GPS. It’s recommended that you do a few run or walks outside to calibrate the internal sensor next time you want to do a treadmill activity for example. 3. Go outside and wait for a GPS signal. You can select a workout or adjust the setting for this profile like data screens, auto lap, auto pause, alerts and other settings you can customize. 4. Once you get the GREEN RING to indicate that the GPS is ready, you can PRESS the KEY to start tracking the activity. 5. PRESS the KEY to STOP. 6. You’ll get a summary page and you can select DONE. 7. You can choose to SAVE or DISCARD the activity. These steps will be the same for the other outdoor profiles. In this video we will go over how you can save and navigate to a waypoint or coordinates on your garmin vivoactive 3. This would come in handy to remember your start location when going on a run, or where you parked your car, find a trailhead, and other useful ways while doing outdoor activities. 1. press and hold key button to the controls menu and TAP on the waypoint icon. Tap Save. Note that you can see the coordinates. 2. Choose and icon and tap done. Now to navigate to your saved locations or waypoints. 3. Press the key button to get to your activity profiles and if you have set it as a favorite, select from the main activity list NAVIGATE. 4. Go to SAVED location and select a location to navigate. Tap go to to start navigating. 5. Wait for the gps and once ready you will be able to use the navigation data screens to get to your location like any other activity. You can change the watch face on your garmin vivoactive 3 with default options or download from the garmin connect IQ store. Notice the green ring, from here you can swipe up & down to choose any of the other watch faces installed. Note that once you since via garmin connect, any watch faces from connect IQ store will appear afterwards. You can customize or remove watch faces. Selecting ADD NEW will bring back default watch settings if you want to start fresh after customizing. But each watch face allows you to apply it or not, customize the look or remove it from the list. Customize a watch face allows you to adjust these features of the watch face. Simply swipe and tap to apply a change. Swipe all the way to the right to apply the changes to the watch face. Swipe all the way to the left will let you discard any changes you make to a watch face. How to setup your vivoactive 3 for your running training plan is pretty easy. First hit the key button and select your running profile, I’ll assume outdoor running. While it waits for a GPS signal, you can do 2 things: select a workout that you’ve downloaded from garmin connect or adjust the settings for the profile. Once you apply change, it won’t revert until you change it. What can you change or adjust on the settings? -turn on/off auto pause. a very handy feature when you have a lot of lights along your route. *Software Update – when paired with smartphone, it will check everytime you sync for new software. But this is where you go if you happen to delay the update for later. We will take a look how to access the heart rate montior settings on the garmin vivoactive 3 where you can turn on/off the wrist HR and add a strap HS monitor. Depending where you live where winter running requires a jacket, you tend to put the garmin gps watch over the jacket, so wrist HR can’t go through the layers. In order to do winter running with the vivoactive 3, you can add an additional heart rate sensor. Any ANT+ garmin heart rate monitor will work. Select HEART RATE and pair the HR strap. It works best when you are wearing the strap.